Mousy and shy to the point of agoraphobic, Em Moore is the writing half of a celebrity biography team. Her charismatic partner, Teddy, does the interviewing and the public schmoozing. But Em's dependence on Teddy runs deeper than just the job Teddy is her bridge to the world and the main source of love in her life. So when Teddy dies in a car accident, Em is devastated, alone in a world she doesn't understand. The only way she can honor his memory and cope with his loss is to finish the interviews for their current book an "autobiography" of renowned and reclusive film director Garrett Malcolm. Ensconced in a small cottage near Malcolm's Cape Cod home, Em slowly builds the courage to interview Malcolm the way Teddy would have. She finds Malcolm at once friendlier, more intimidating, and much sexier than she had imagined. But Em soon starts hearing whispers of skeletons in the Malcolm family closet. And then the police begin looking into the accident that killed Teddy, and Em's control on her life tenuous at best is threatened. 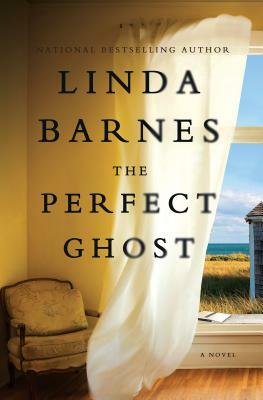 In "The Perfect Ghost," a stunning breakout novel from the beloved author of the Carlotta Carlyle mystery series, Linda Barnes slowly winds the strings tighter and tighter, leading the reader ever more deeply into the lives of her characters with pitch-perfect pacing and mesmerizing prose. LINDA BARNES is the author of sixteen previous novels, including her Carlotta Carlyle mystery series. Her work has won the Anthony and American Mystery awards, and received numerous nominations for the Edgar and Shamus awards. Born in Detroit, she now lives in the Boston area with her husband and son.